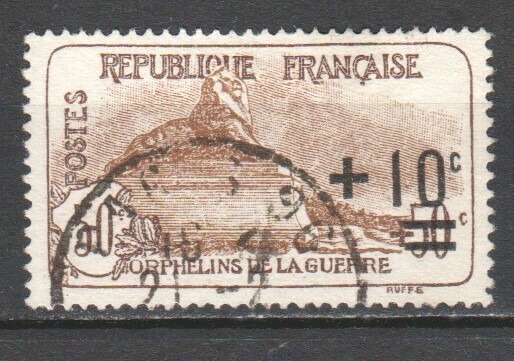 The 1929 French sinking fund issue. A 1916 stamp issued under the German occupation of Belgium in WW1. The words "Seid einig einig einig" are the last words of William Tell in a play by the great German playwright Schiller. Google Translate decodes "Seid einig einig einig" as "Be united unanimous agreement". On June 25, 1946, Austria issued a semi-postal stamp celebrating the First Anniversary of the United Nations. Scott# B166 - Surcharged in Black on a Scott# 467 - Neusiedler Lake, Burgenland. In 1946, a set of 15 Porto (postage due) stamps were issued by the Renner Government in Austria. 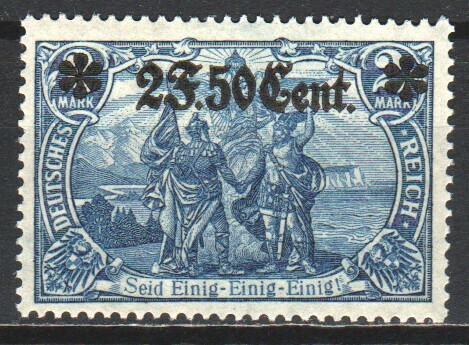 The overprint was black and printed on Occupation stamps of the Allied Military Government. In 1927 the International Labour Organisation met in Berlin, and Germany issued this set of overprints. (IAA stands for the German name for the organisation.) The ILO was set up after WW1, under the auspices of the League of Nations, to protect worker rights and encourage minimum employment standards. It is also an important provider of statistics on the labour market around the world. In August 1919 Bavaria became a Free State within the Weimar Republic of German. Here is part of a set of 1920 overprints. 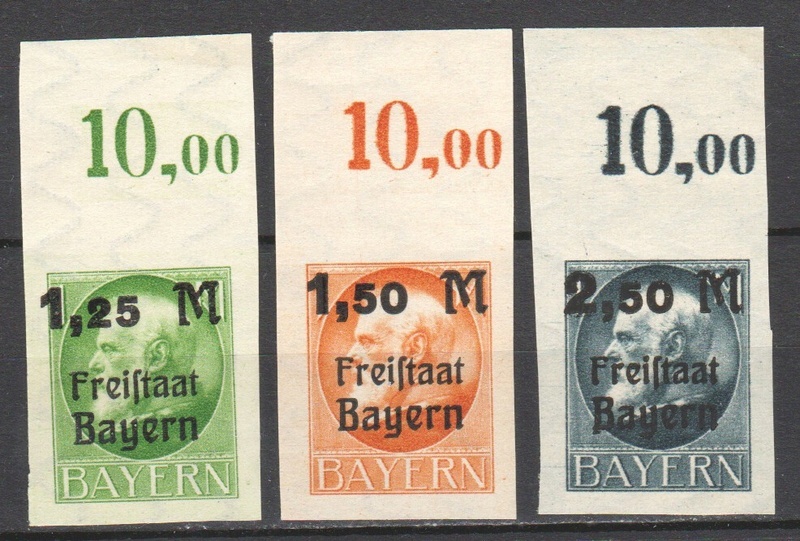 More stamps from the 1920 Bavarian set. In 1934, Poland issued an overprinted stamp on unwatermarked laid paper. The subject on the stamp was a painting by Jan Matejko, "John III Sobieski and Allies before Vienna". The original stamp was issued without the overprint on September 12, 1933 for the 250th anniversary of the deliverance of Vienna by the Polish and allied forces under the command of John III Sobieski, King of Poland, when besieged by the Turks in 1683. France 1922, issued in aid of a national fund for orphans of WW1. The picture is of the Lion of Belfort, a huge sculpture commemorating the resistance of Belfort in eastern France against a siege of over 100 days during the Franco-Prussian War of 1870-1871. The siege ended only when the garrison was ordered to surrender after an armistice was signed. Port Said 1899 - some French Peace-and-Commerce stamps overprinted for use by the French post office there. The one on the right is listed by Stanley Gibbons as being that wonderful colour 'drab'.